There are many online marketplaces, e-commerce sites and auction platforms available today. But sometimes it can be difficult to know who you can trust and where you can go to sell your high-quality objects for a good price. Catawiki is the world’s fastest growing online auction platform, and for millions of people all over the world it is the place to go to buy and sell special objects. Whether you are a professional retailer or simply would like to sell something from your home, anyone can buy and sell on Catawiki. But how are we different from other online sales platforms? Find out here. What Makes Catawiki so Unique? Our selection of special objects, our in-house experts and our unique fusion of traditional style auctions online are just some of the ways Catawiki is so different from other sales platforms. Keep reading to find out more. If you’re looking to sell a limited edition comic book or an extremely rare Rolex watch, you probably want to find an audience of devoted collectors who are interested in your special object and are willing to pay a good price for it. We attract an audience of 14 million people per month who know that Catawiki is the place to find such objects that aren’t available in your average store. In order to help sellers achieve the best results at auction, a team of in-house experts who are all specialists in their respective fields are on hand to assist. 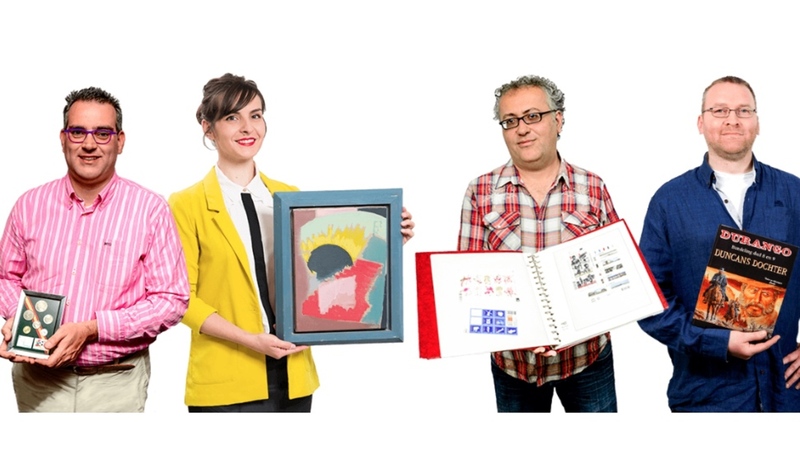 Our experts screen all objects submitted for auction, work with the sellers to ensure the lot is the best it can possibly be, and create auctions which they think will be beneficial to both buyers and sellers. Buyers know that the auctions are carefully curated by these experts, and therefore a more specialised, trusting audience is attracted. Catawiki is a unique blend of buying online and going to a live auction. 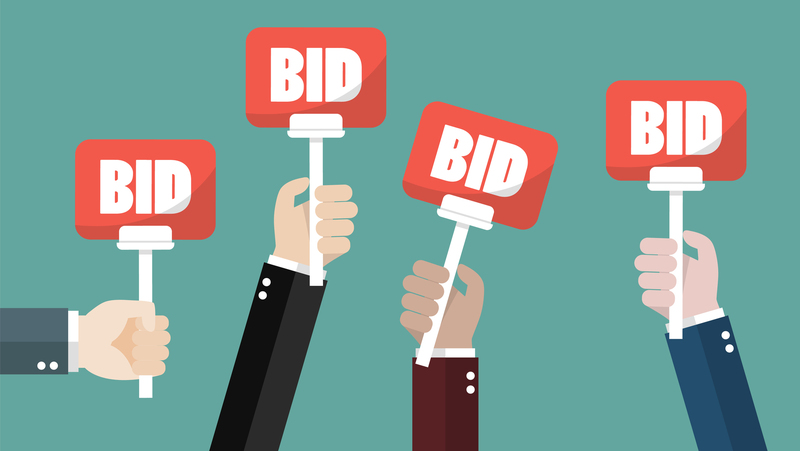 New auctions start every Friday and usually run for a week or two in order to give people from all over the world a chance to check out the lots and place their bids. Objects are arranged into categories to make browsing easier. And our experts usually provide an estimate of an lot’s value before it goes to sale. 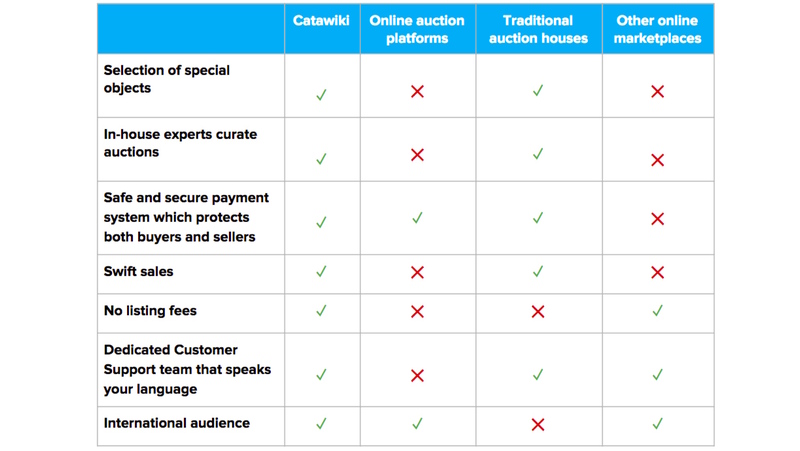 We believe that this combines all the benefits and reputability of a traditional auction house with the convenience and ease of an online platform. Catawiki offers a unique payment method to protect both buyers and sellers. When a buyer wins an item, they must pay the purchase price and shipping costs within 3 working days. The seller is then informed that the item can be shipped or made available for pickup. This protects sellers from shipping items that haven’t been paid for. Additionally, this keeps the transactions trustworthy as the buyer and seller are not in contact until after payment is received. After the 14 days, the shipping fee and the purchase price, minus the 12.5% commission fee, are transferred to the seller. The commission is reinvested in advertising and other marketing efforts to bring attention to the auctions. It’s completely free to offer up as many objects as you like for auction. There’s no limit, and no cost. You only pay a commission fee when your lot is sold. In the unlikely event that your lot does not sell first time, you don’t have to pay anything, and it’s free to offer it up for auction again. 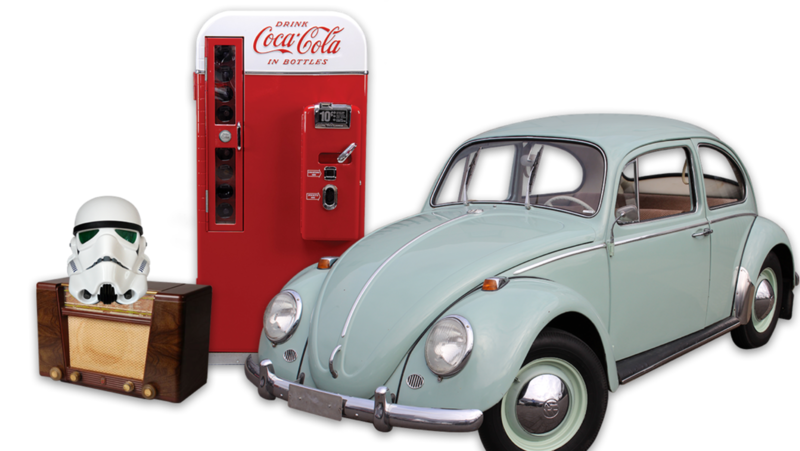 Each week, we auction up to 50,000 lots in over 300 auctions. Since we have nearly 40 auctions closing every evening and new auctions starting every Friday, this means that you can sell your special objects swiftly. There are so many reasons why Catawiki stands out from the crowd, and why we are the safest, most efficient and lucrative place to sell your special objects online. Not only are we different from other sales platforms, but we make it easy, swift and fun to be a seller. 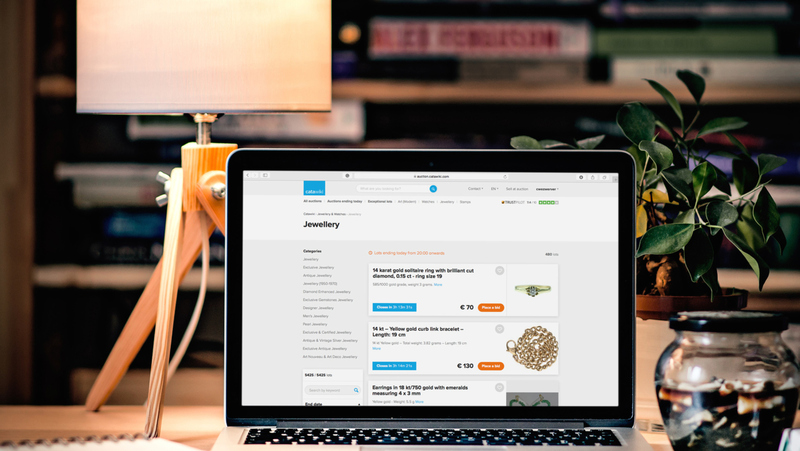 The first step is easy, explore our auctions to see the types of objects you can submit and then register as a seller. Our experts can’t wait to see when you have to offer!